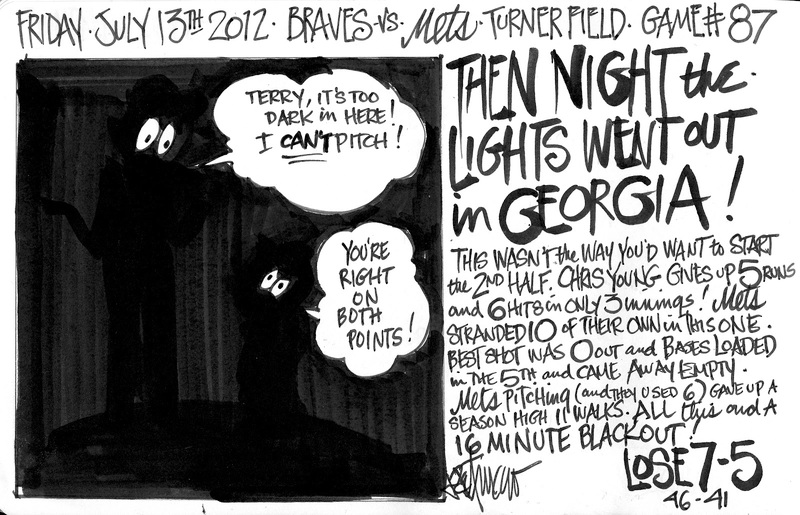 My Mets Journal: The night the lights went out in Georgia! The night the lights went out in Georgia! Very great article information, thank you for sharing this. Jason Bay Gets a HIT!!!! Ike hits 3 as Offense hits the skids! D'backs get a taste of a Harvey BallBanger! Nats Finish off Mets! Swept again! R.A. Dickey Gets 13th the Wright Way! R.A.and Pen just don't have it! Gee! Cubs aren't so tough!